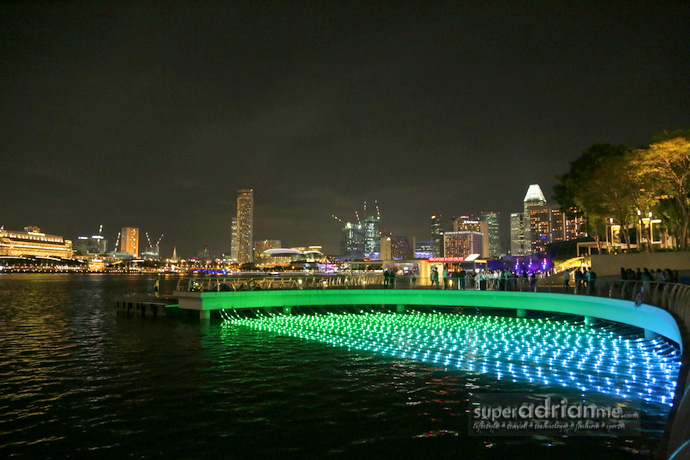 i Light Marina Bay 2014 returns with 28 sustainable light art installations by local and international artists from 7 to 30 March 2014. The third edition of this three-week festival is organised by the Urban Redevelopment Authority (URA) to raise awareness on environmental sustainability issues through the theme “Light+HeART”. 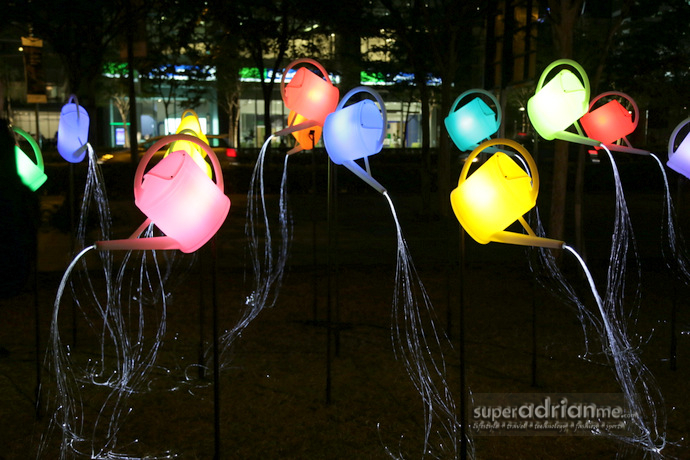 ONG&ONG has curated this visual spectacle which is meant to encourage visitors to take action and make a difference in their own ways through interactions with the installations. The best time to visit the artworks is between 7.30pm to 11pm. You may start at around 7pm if you would like to also capture the beautiful sunset with the Singapore skyline in the back drop. Photos will be spectacular. 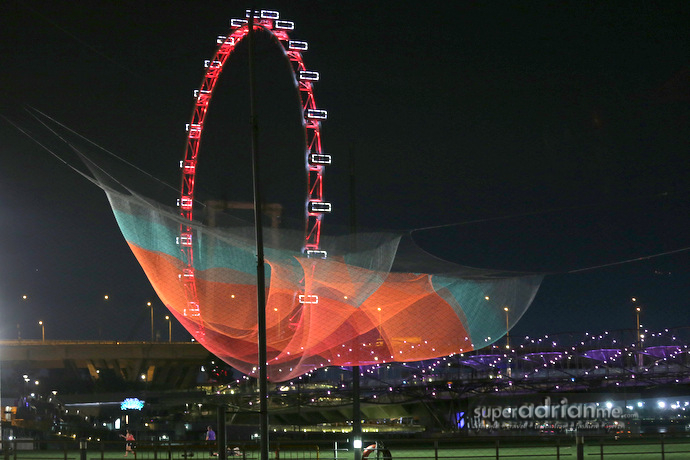 i Light Marina Bay 2014 is a free-for-all event. 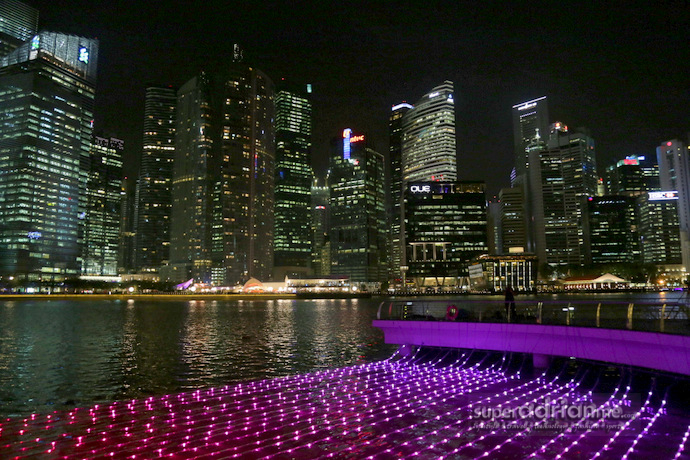 You may visit www.ilightmarinabay.sg for the full listing of installations. 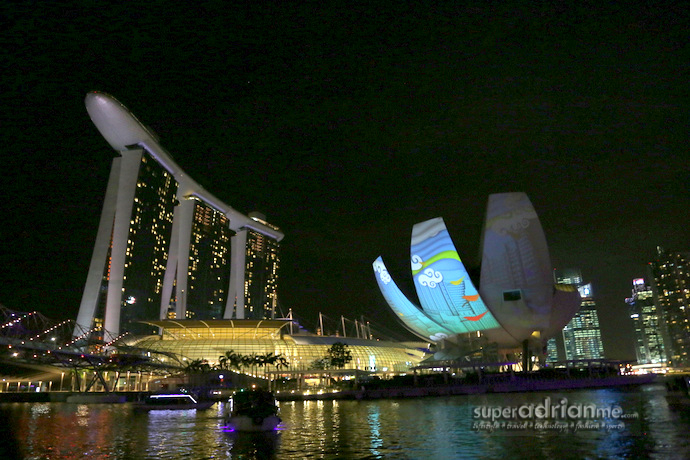 Earth Hour Singapore will be the culmination of i Light Marina Bay 2014 this year on 29 March 2014. 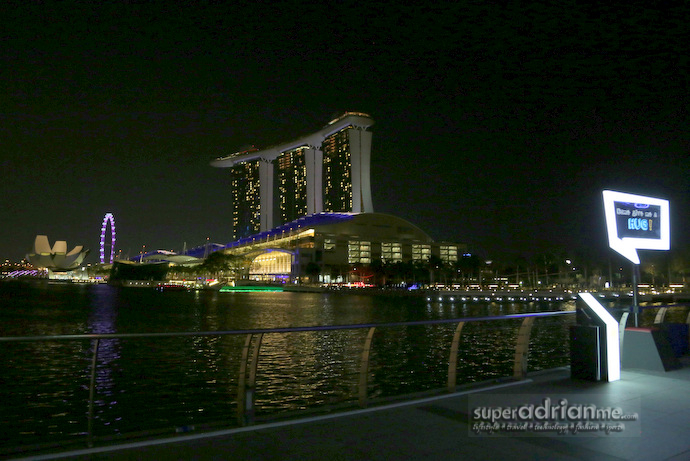 The cast and director of The Amazing Spider-Man 2 – Andrew Garfield, Emma Stone, Jamie Foxx and Marc Webb will be at The [email protected] Marina Bay at 8.30pm to switch off the lights across Singapore’s signature Marina Bay skyline. 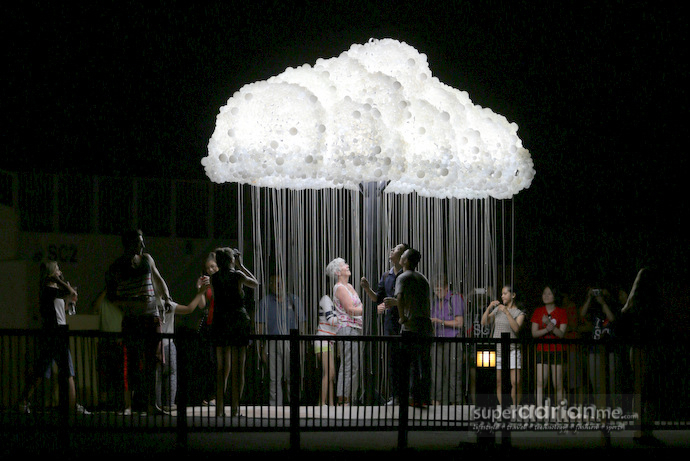 We highlight some of the installations we visited during the media preview last night. 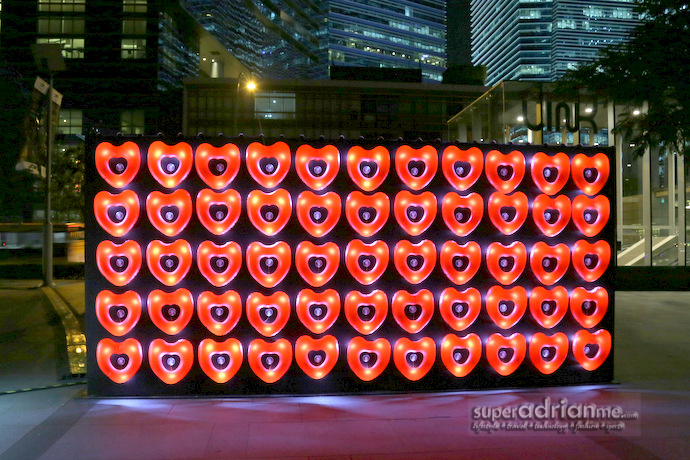 This video installation by Justin Lee is co-created by Marina Bay Sands and Panasonic Systems Asia Pacific. 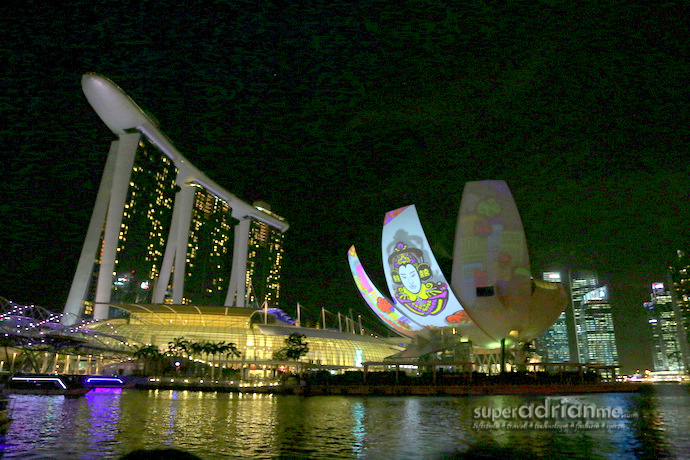 A 3D projection installation on the facade of the iconic Art Science Museum, Celebration of Life touches on the role and value of traditional culture in contemporary society, celebrating Asian values in modern society through a tongue-in-cheek manner. Justin blends traditional Eastern iconography with modern-day symbols of global capitalist culture. Justin’s art reflects a fine sense of contemporary design flavoured with an essence of Singapore traditions. He is a recipient of the Georgette-Chen Arts Scholarship and completed his Diploma in Fine Arts at the LASALLE-SIA College of the Arts in 1999. He has been active since 1996 and held his first solo exhibition Double Happiness, A Fantasy in Red in 2003 and has participated in several exhibitions and art competitions. 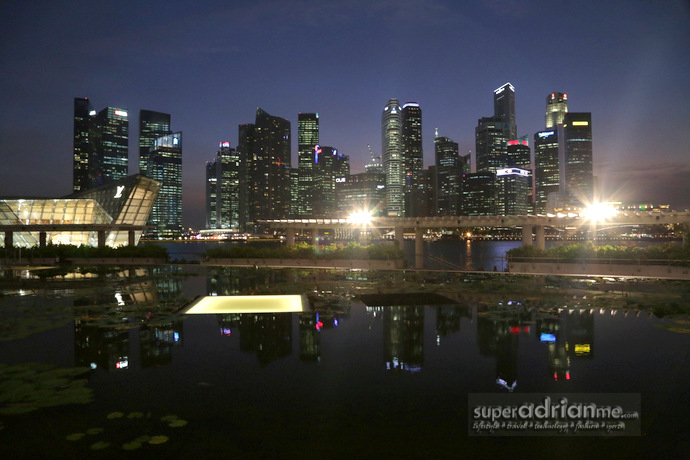 You can view this from the Helix bridge or at the floating platform. This is a personal favourite. It is so beautiful especially with the Singapore Flyer in the backdrop. Created by American artist Janet Echlman who builds living, breathing sculpture environments that respond to the forces of nature such as wind, water and light. 1.26 Singapore is suspended at The Float @ Marina Bay. Janet has been inspired by the traditional craftsmanship of fish net weaving and lace making in the construction of her urban sculptures and has re-interpreted this technique through the technology she has utilised. The form and content has been drawn from observing Earth’s interconnected systems using laboratory research from NASA and NOAA which documented the effects of the 2010 earthquake in Chile. 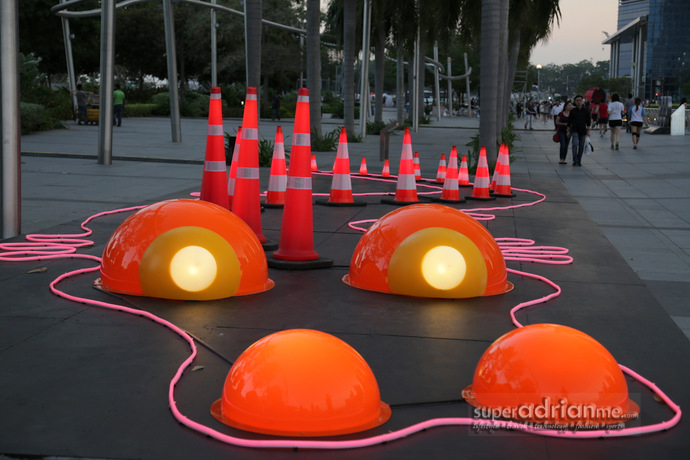 The colourful volumetric piece takes the shape of a tsunami sweeping across the ocean. This piece reminds us of today’s ever changing face of the earth and the effect of natural disasters on people. It also highlights the courageousness of survivors and the interconnected populations who are fighting against these effects of climate change in today’s context. 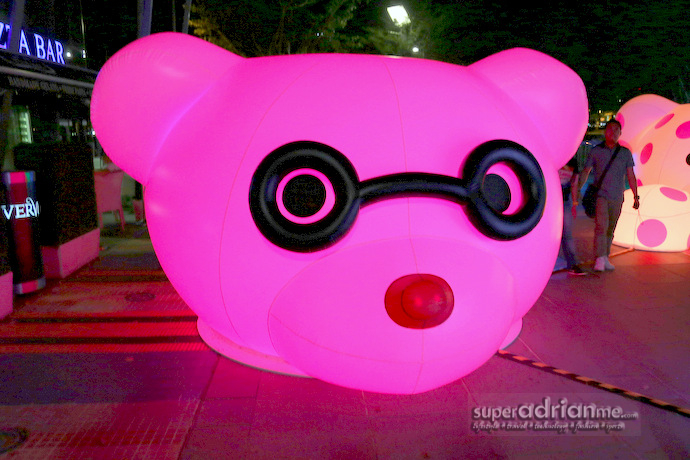 Located at The Float @ Marina Bay, this creation of Caitlind r.c. Brown and Wayne Garrett from Canada is made of both new and recycled materials that combines the aesthetic of incandescent light bulbs with the brilliance of energy-efficient bulbs. It is about the changing face of sustainability giving an optimistic tone of magic, hope and beauty. Well to me, it is the hope of real rainfall in a really parched Singapore that has be devoid of rain for a really long time. Go under the cloud cover to explore and discover. Pull on the string switch to trigger a quantifiable shift within the greater aesthetic of CLOUD. Yes you can impact progress and achieve significant change. Do it as a group and see what happens. 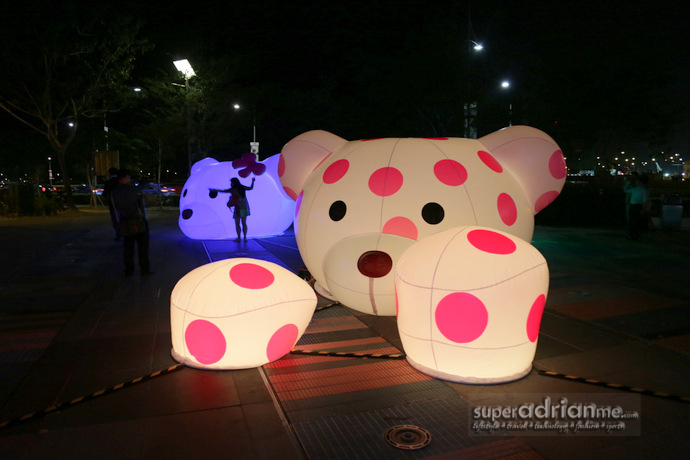 This has to be the cutest and most huggable light installation at the Marina Bay area. Located beside Marina Bay City Gallery nearer to the Promontory side of the Marina Bay, JouJou-Ours is a creation by the team at Uno Lai Lighting Design. Traxon Technologies, an OSRAM business is the illumination provider for this installation, using simple yet flexible light-emitting diodes (LED) lighting solutions by Traxon and its control brand e:cue. Uno Lai who owns the Uno Lai Design Group rekindles his memory of owning and playing with toy bears and having that memory close to their hearts. Joujou-Ours means Toy Bears in French. 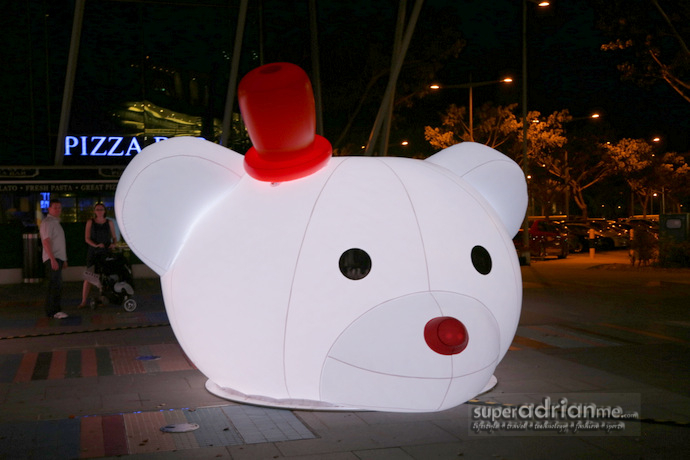 Each toy bear in the installation has its own personality, in terms of colour, effect of their lights and also the accents and accessories each one bears such as hats, glasses or moustaches. These bears react to motion and touch through the use of motion sensors. Walking closer to different bears trigger different lighting effects while touching their heads trigger alternate lighting effects. 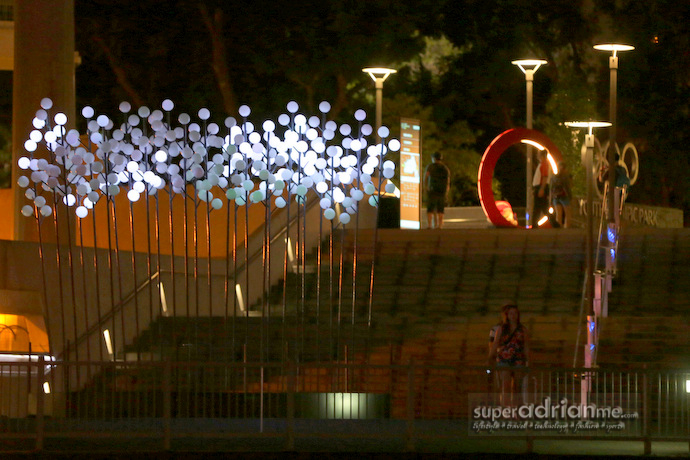 This installation by Bibi from France is located at the Marina Bay waterfront promenade near Mist Walk. 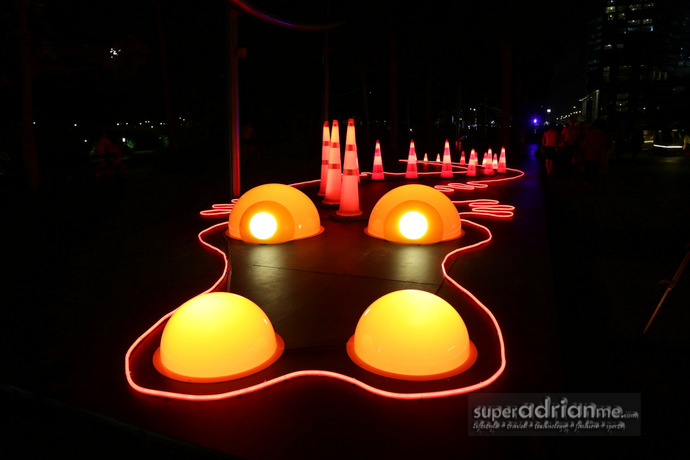 It is a luminous 20m long sculpture of a crocodile using two types of LEDs and low energy light bulbs. It has a backbone of traffic cones. Try to see it from different angles and make sure you see the crocodile! Bibi uses daily life objects made of plastic and explored our relationship to our environment as well as our capacity to face up to our contradictions with regard to the waste we produce. Bibi has fought hard against two universally distributed icons: the polyethylene container and the traffic cone.